Mashamshire’s early history is a matter of conjecture but there are many clues. There are earthworks at Ilton and on Gregory (Saxon for “watchtower”) Hill beside the churchyard. There is a field called Standing Stones at Fearby and on Roomer Common there are traces of a Roman marching camp. In addition to these features there are lynchets – a form of early terracing to aid cultivation – on many of the hills in the area. 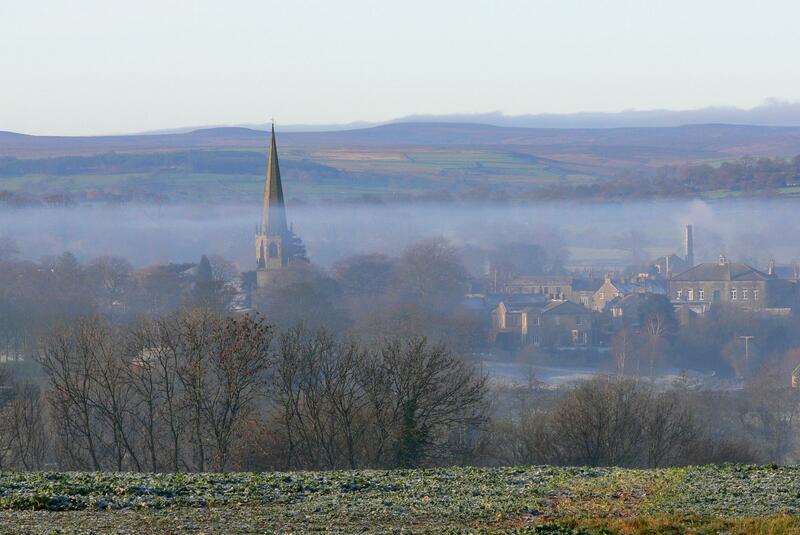 Masham – originally Maessa’s Ham – probably owed its foundation to the gentle, flood-proof rise on which it stands, near an easily fordable part of the River Ure, together with its proximity to the course of a Roman road and its position on the main route from Wensleydale to York. The present square with its beautiful Georgian houses was created in the 18th century. The huge market place would originally have been surrounded by thatched cottages and was the site for annual Sheep Fairs with over 80,000 heads of sheep being sold some years, including animals from the flocks of nearby Fountains and Jervaulx Abbeys. 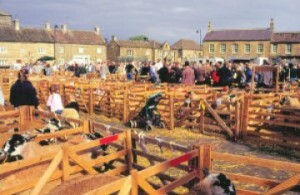 The Sheep Fair tradition continues on a smaller scale today: each September Masham Sheep Fair takes place attracting many rare breeds and visitors. The two day event is all run by local volunteers and all money raised from parking goes to local Charities. A plaque by the medieval market cross commemorates the first market charter granted in 1250 followed by two more in 1328 and 1393. Today, Masham’s bi-weekly market is still going strong, 762 years since the first charter – browse around Masham market on Wednesdays and Saturdays throughout the year. We also have a Farmers’ market the first Sunday of the month throughout spring and summer. It is thought St. Mary’s church was originally founded in the seventh century and was mentioned in the Doomsday Book. It stood somewhere near the present Town Hall on what used to be known as Cockpit Hill. In 1988, human skeletal remains were discovered during the building of the new public toilets near this location and excavations yielded 58 burials. The original early Christian burial ground is thought to extend under many of the present surrounding buildings and was in use between 679 and 1011 AD. 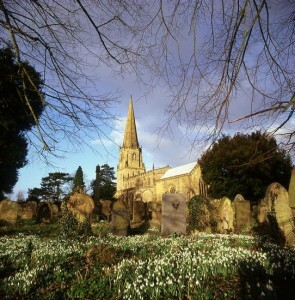 The remains have been given a Christian burial in a marked grave in the present Masham Churchyard. An explanatory leaflet and map is available from the Mashamshire Community Office. The present church – while having some Saxon stone work and the stump of an eighth century prayer cross – is mainly Norman with fifteenth century additions. In the church are striking stained glass windows, paintings and two particularly fine memorials: to Marmaduke Wyvill in the North transept and to Abstropus Danby in the South. Recent improvements to the lighting inside the church highlight its beauty and the contemporary painting of the Maddonna and Child by John Blakey is very striking. It was commissioned by the Church and the setting for the painting is the Rustic Temple beside the Fountain Post in Hackfall Woods just outside Masham. In the churchyard are buried the hymn writer William Jackson and the artists Julius Caesar Ibbotson and George Cuit. Many gravestones have poems on them. You may be familiar with the Theakston’s beer, but Old Peculier has a story. Masham was given to the Minster of York in the medieval period but, as the Archbishop did not wish to make the long journey north to oversee the town’s affairs, the parish was designated a Peculier. This meant it had its own ecclesiastical court and governed its own affairs. After the dissolution of the monasteries, Henry VIII granted jurisdiction of this court to the masters and fellows of Trinity College Cambridge. College House, on College Lane was the former Peculier Court of the Prebend of Masham. One of the oldest areas of Masham, College Lane was once partly owned by Trinity College Cambridge. To this day, the Vicar cannot be ordered to attend the Archbishop but must be formally invited. 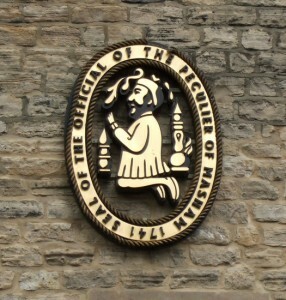 As well as the beer, the Peculier also lives on in the Masham Four and Twenty – the Peculier Court which now functions mainly to aid charitable causes. 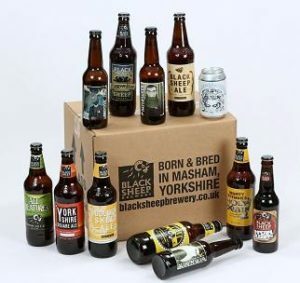 Brewing history in Masham goes back six generations with and today T&R Theakson and Black Sheep Brewery are renowned for the their range of cask, bottled, seasonal, crafted and small batch ales. Theakston’s Brewery was originally founded in a hotel, The Black Bull, on Silver Street in 1827, on the site of what is now Corks & Cases. The brewery was successful and later expanded into the range of buildings in the area known as Paradise Fields which is their site today. Following a short period in the ownership of Scottish and Newcastle, heirs of the original founder, Robert Theakston, bought back the company in 2003 and it continues to produce some wonderful beer at its Masham site. Paul Theakston, was also born into the Theakston brewing dynasty. The family had been brewing in Masham for five generations before it was taken over by Scottish and Newcastle Breweries. As a result in 1992, Paul decided to leave to establish a new brewery on the site that once housed another old brewery called Lightfoot’s which T&R Theakston had taken over after the First World War. Paul had originally planned to revive the Lightfoot’s name, but Scottish & Newcastle had applied for the rights to the name at the same time. Black Sheep Brewery was born – a name that fit well with Masham but also captured the essence of the family struggle that led to its birth. In a short period of time, Black Sheep ales have become some of the most popular beers produced by an Independent Brewery. Masham is now proud to have two great internationally recognisable breweries and we’re very lucky to have some truly great beer and brewing history on our doorstep! Mills have featured at the heart of communities for centuries for milling corn, flax and worsted and are known to have existed in Healey, Swinton and Low Burton as well as Masham. The Old Mill on the banks of the Ure in Masham is thought to date from 1600 and latterly it produced electricity for the town before the arrival of the national grid. I’Anson Brothers have operating a milling business in Masham since 1900, first in the centre of town before also taking on the Old Mill and finally expanding and consolidating their business on its current site. 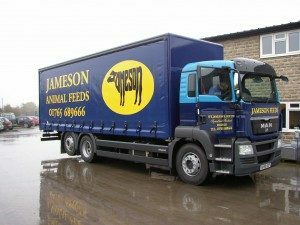 Today, it is a major business, run by the fourth generation of the I’Anson family, supplying specialist farm feeds to over 25 countries and employing more than 70 people. The company’s use of cutting edge technology has been recognised by Microsoft ahead of the likes of BMW and Toyota; it has also been awarded a Queen’s Award for Enterprise – Innovation, for its products. W.E. Jameson was established in 1930 and today is a leading supplier of feeds, seeds and fertilisers to farms throughout the north of England. In 2012 Jameson’s Country Store was opened, adding to the long list of things that you can buy in Masham. You can now get country clothing, boots and shoes; equine and pet feeds, supplements and health products, DIY, household and kitchen essentials, riding equipment, pet accessories and workwear. Successful businesses, with a history that Masham can be proud of! 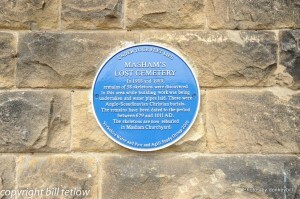 Take a look at the the The Making of Mashamshire, a local heritage project for more information about Masham history. Further information is also available from the local history section of Masham Community Library, including the excellent book “Days of Yore” by Susan Cunliffe-Lister. The Community Library can be found upstairs at the Community Office. The Community Office itself can provide information, leaflets and maps to help you explore the area.